I know I have been posting on this for about a for the last 6+ weeks, it is finally here and it's done. I have revamped the installer yet again and changed how I originally was going to install the script a couple of nights ago and just been testing and improving the installation. 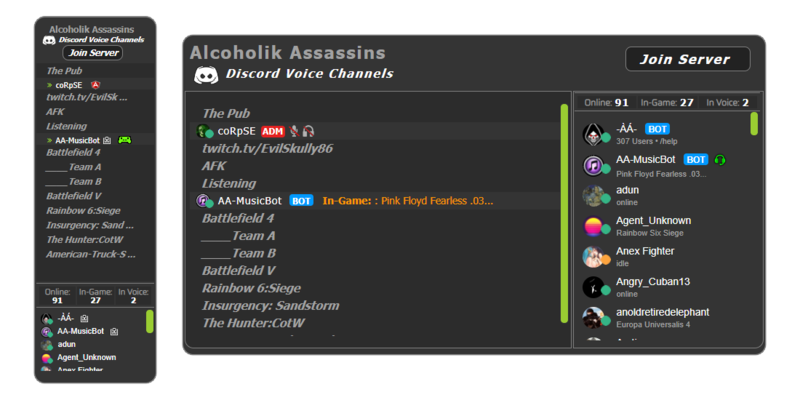 Overall, this system allows you to customize the look of the discord widget to match the color scheme of your site. There are a few other things I like to do with the system possibly in the future, but right now, I am taking a break from the script. Backend setting to add those who are admins on your discord so it will show on your block that they are admin. When in game, it will show that you are in game and if you mouse over the user, it will display the name of the game they are playing. (I am doing it this way because os size constraints. Easy installation of the script was my primary goal as well. 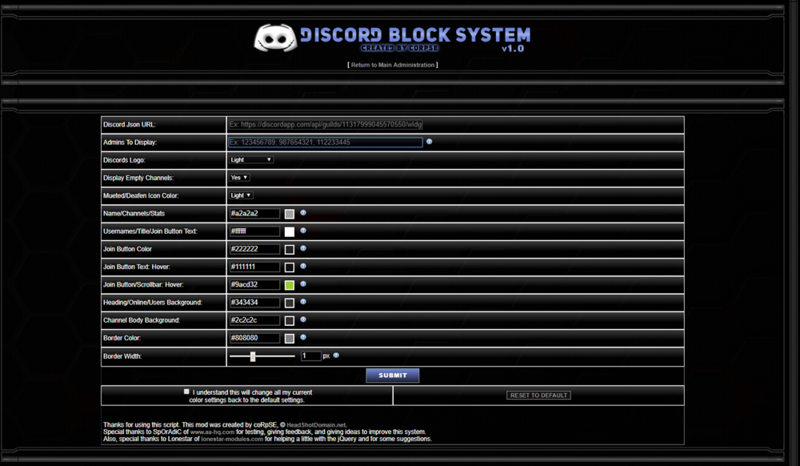 So, if your looking for a Discord block for your site, well, finally, now you can have one.